"Amma" (Telugu, Kannada) and "Ammai" (Malayalam), and "Amman" (Tamil) are suffixes which mean "Mother". 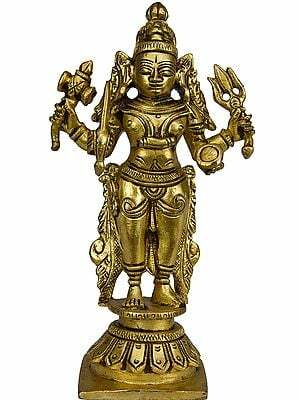 The goddess here is Mariamman, a name more or less interchangeable with Pachaiamman and Muthialamman as well as with Periyanayaki and Bhavani-and probably many others. In Andhra country her most common name is Ammavaru, which is more or less interchangeably with Muthyalamma, Nukalamma, Poleramma, Somalamma and Mahamari- and probably many others. In Tamil Nadu alone, places where Mariamma is worshipped are so numerous as to defy count It may be that with this goddess we stand face-to-face with one of the most popular-and ancient-divinities in au of Hinduism. 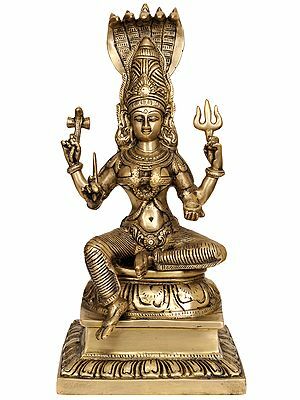 Goddess Mariamman is believed to be an aspect of Parvati, Siva's Shakti, and, at the same time, a mothering, nurturing goddess of independent status. What takes votaries to Mariamman's temples today? Clearly, many of the same functions that always drew them there. They go to her because they believe she alleviates sufferings of all kinds. She grants boons. She blesses with children. She insures a job. She arranges a promotion. She finds a husband. She supervises an easy birth. She helps the lame to walk. She causes the mute to speak. She enables the blind to see. She calms the deranged. And, as always, she cools fevers. Among the thousands of shrines and temples to this great Mother Goddess there are a few which may be named as influential centers of Mariamman's worship. In Tamil Nadu there are the Mariamman Koil at Samayapuram, the Bhavani Koil at Periyapalayam, the KaruMariamman Koil at Tiruverkadu, and the Kottaimari temple in Salem; and in the state of Andhra Pradesh there are the Somalamma Kovil at Rajahmundry, and the Mutyalamma temple at Vijayawada. At such places, as well as at the thousands of other Mariamman shrines and temples, she is served by two or more full-time priests. The single most important day for the worship of this great Mother Goddess is Sunday. Of all the days of the year, the Sundays in the month of Ashadha (June-July) are the most auspicious for her worship-especially the last Sunday of that lunar month. Throughout the South this will be a day of huge gatherings at the temples of the great goddess. While many of her temples celebrate annual 2, 3, 7, 9 and 10-day festivals at various limes of the year (as determined by local custom), this one Sunday is universally observed as "Her" day. It is normatively preceded by a period among her devotees marked by fasting and other penances. It culminates for some, as that summer Sunday nears, with a heightened sense of reality which, in not a few cases, expresses itself in trance-like states and in ecstatic possession. Thus, one hears regularly of fire-walking as fulfillment of a vow to the goddess, and the practice of "hook-swinging" (called cetil in Tamil, sidi in Telugu) is also reported. In this latter, a devotee in trance is lifted off the ground by means of hooks piercing 'his flesh. It is also at such times of joyous transport that those in the common crowd are inspired by the stories of the goddess and her heroic devotees, recited by groups who narrate "Terukkuttu" tales. The air will also be filled with the strains of song as traditional minstrels also glorify the goddess. It is also believed that Vibhuti (ashe) received as prasada in her temples have great curative powers. Here the goddess is in a typically benign form with four arms. Sometimes she is shown with only two arms, at other times with as many as eight arms. 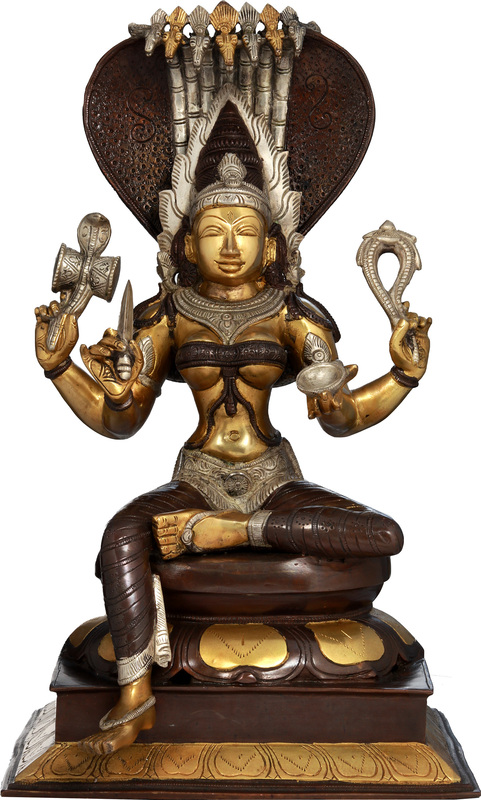 She is seated in a relaxed posture [ardhaparyankasana], much as she might be found in many of her local shrines. What immediately identifies her visually to her worshippers is the seven-hooded snake projection over her crown. This goddess' connection with the serpent world has already been mentioned, but it must be pointed out here that local tradition associated with many of her shrines proclaims them to be a sanctuary not only for the goddess but also for snakes. Such snakes, sometimes reputed to be of great age, are treated as mascots of Mariamman. 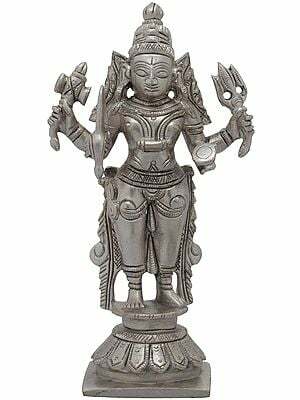 The objects which she holds in her hands may be construed to suggest her identity with Shiva and/or his Shakti (e.g., the drum), or they may be understood as implements of her own protective power. In some images, she displays the abhaya-mudra ("Fear not" gesture), but here she has her hands full. The dagger has many connotations, positive and negative. It may ward off enemies; it may be used to excise pain. The drum is a common instrument used to kill germs and to drive off evil spirits. The lasso is to catch hold of the enemies of Dharma. The kapala-cup is held out as an offering to her votaries in the same way that the healing vibhuti-ashes are daily distributed to her devotees by her priests.